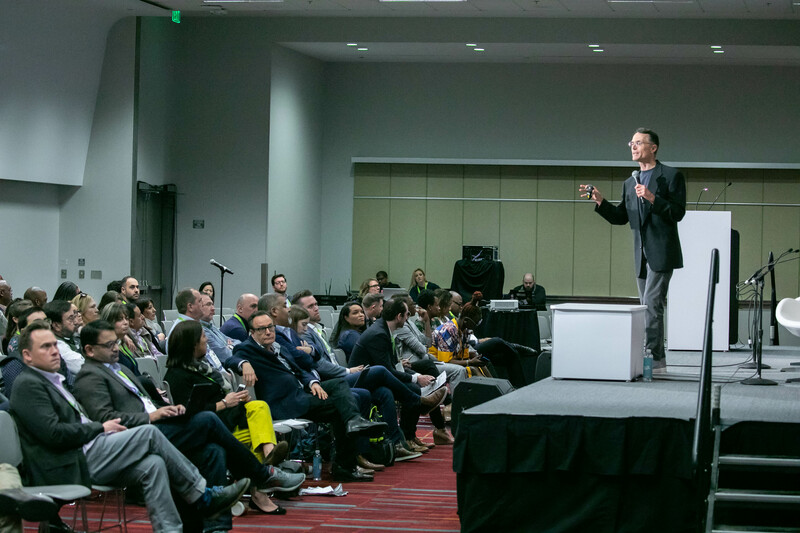 New Profit Managing Partner J.B. Schramm issued an urgent call to action to thousands of private sector leaders who attended this year’s Consumer Electronics Show (CES), the world’s largest showcase for new technological and electronic innovations. 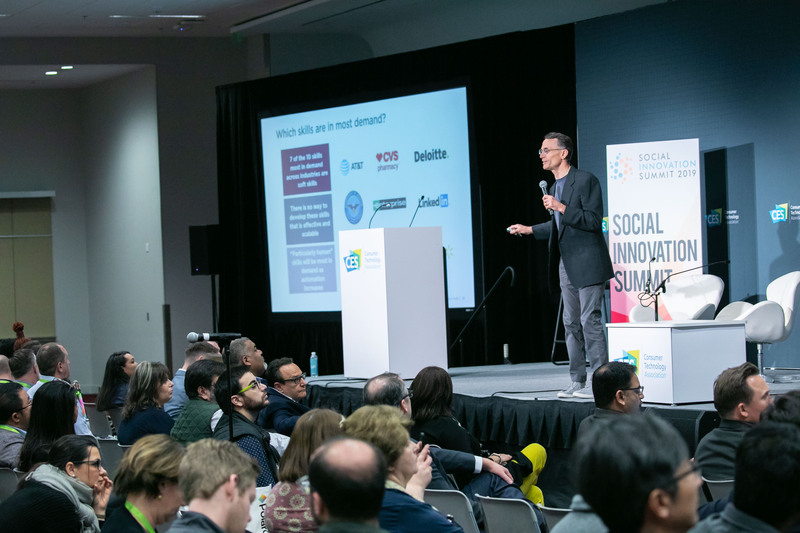 Schramm’s presentation (VIDEO below) was part of CES’s “From Education to Employment” panel sponsored by Landmark Ventures which focused on the critical need for business and civic leaders to address the transformational changes coming through automation. Drawing on decades of experience as a social entrepreneur and leader in post-secondary attainment and career access for underserved young people, Schramm centered his comments on the fact that while researchers estimate automation will eliminate low-wage jobs at 20x the rate of high wage jobs, low-income and entry level workers are being left out of the Future of Work conversation and the design of solutions. The same disconnect is unfortunately true for many social sector organizations with deep experience serving and partnering with low-income people and communities. Very few are participating in the broader Future of Work dialogue or mobilizing to take on the transformations in their own work, a core topic New Profit covered at the 2018 Gathering of Leaders. Help millions of Americans launch careers with the skills required for success in the future world of work. 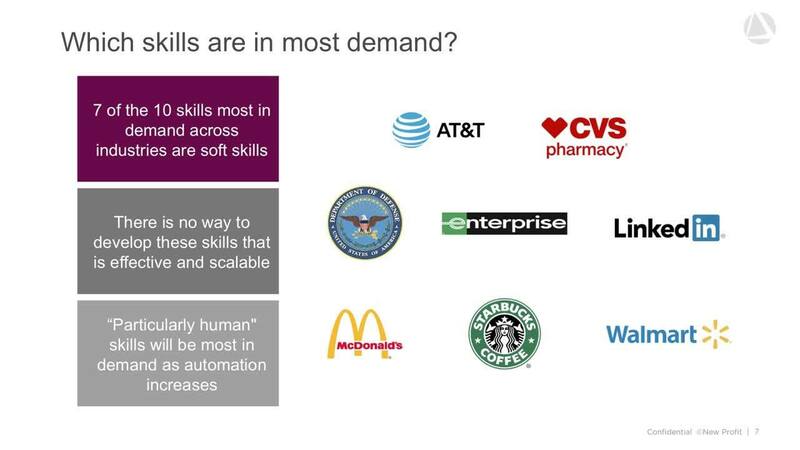 Apply the latest technologies--from A.I., behavioral psychology, experiential education etc.-- to create effective, scalable ways for Americans to develop the high-demand, particularly human skills that complement machines. Run an unprecedented experiment with employees to learn which skills and mindsets have the most impact on employee performance. Schramm was joined on the Education to Employment panel at CES by other innovators and thought leaders, including Caroline Wanga, Chief Diversity and Inclusion Officer and VP, Human Resources, Target; Jasleen Makker, Senior Director, Corporate Communications, HARMAN International; Shawn Outler, EVP, Chief Diversity Officer, Macy's, Inc.; Elena Richards, U.S. Minority Initiatives & Talent Management Leader, PwC; Bill Taylor, VP, Outreach & Partnership Development, NAF; and Landmark Ventures General Partner Zeev Klein. 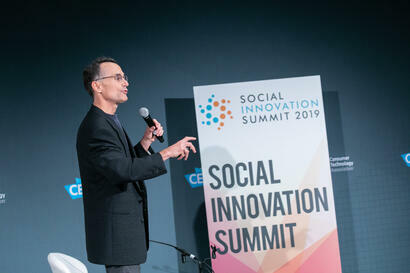 Across the day, Schramm and other panelists highlighted that the Future of Work will require tomorrow's workers to become agile learners and complement machines. Technology that is informed and designed by the individuals most impacted by the changing world of work has the potential to play a powerful role in leveling the playing field by helping all learners acquire the skills to succeed.